Table Mountain - a World Heritage Site and one of the seven wonders of the modern world - is a sandstone plateau rising up above the Cape Flats. The top is approximately 3km wide, and at its highest point, rises to 1085m. Over the centuries it has become one of South Africa's most famous landmarks. The summit can be reached by trails or cable-car. One of the most beautiful waterfronts in the world with a combination of great shopping, entertainment, restaurants and cafes. If you're feeling more adventurous take a cruise on a catamaran or a helicopter flight over the mother city. Robben Island, lies about 12 kilometres north of Cape Town, has over the years become synonymous with the anti-apartheid struggle in South Africa. Now a World Heritage Site, it has come to symbolise, not only for South Africa, but also for the entire world, the triumph of the human spirit over enormous hardship and adversity. One of the Cape's main attractions, the Cape of Good Hope Nature Reserve, at Cape Point, noted for its floral diversity and its wild flowers. The reserve boasts a spectacular coastline, with Cape Point possessing the highest sea cliffs in South Africa. Beautifully situated on the eastern slopes of Table Mountain, these world-renowned gardens are dedicated to the preservation of the indigenous plants of Southern Africa. Take a picnic and enjoy the fynbos and views. 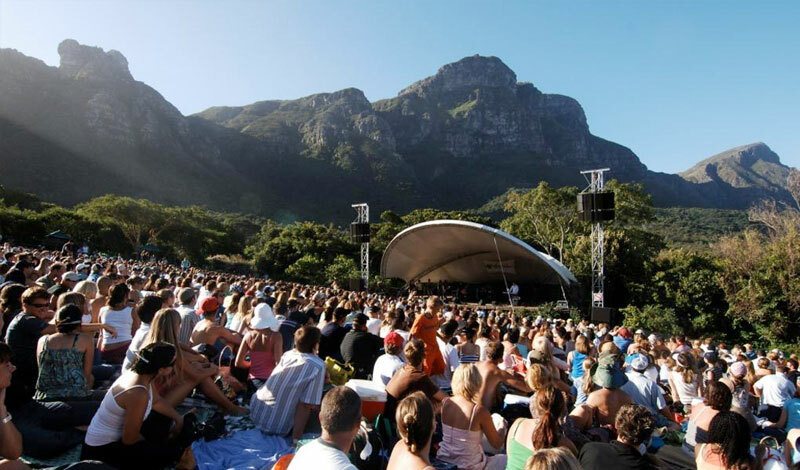 Between November and April their legendary Summer Sunset Concerts run on Sunday evenings. Boulders Penguin Colony in Simons Town is home to a unique and endangered land-based colony of African Penguins. This colony is one of only a few in the world, and the site has become famous and a popular international tourist destination. This is the South Africa’s oldest wine producing estate, established by Simon van der Stel in 1685 and is today a certified national monument.